Master of Malt recently participated in the increasingly popular Movember charity event by not only growing a handsome moustache, but by launching special edition bottlings including the Glenfarclas Movember 2011 bottling with £10 from the sale of each bottle donated to Movember. The bottle is adorned with a still image of the Master of Malt team, recreated with the help of an old photograph from the Glenfarclas distillery. 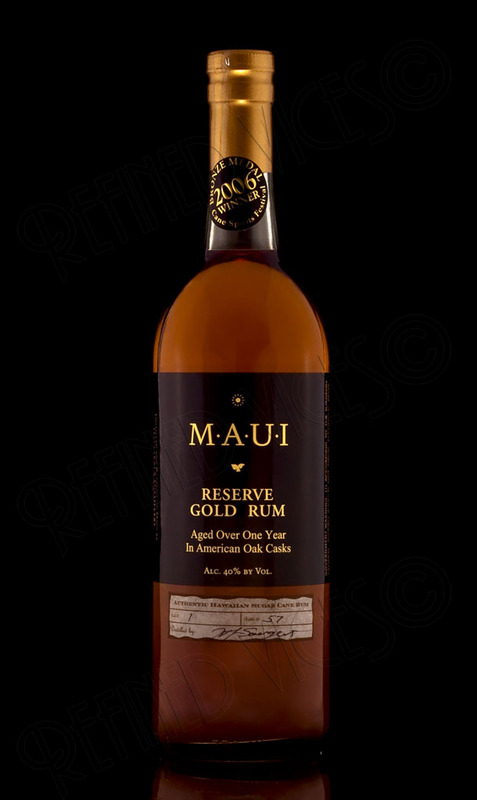 Maui Reserve Gold Rum is the last of the four Maui rums and it has been aged for over a year in American Oak Casks (Jim Beam) as it says on the black label in gold lettering. There is also a smaller label near the bottom of the bottle that has hand written cask and bottle numbers and the signature of the Master Distiller and this is something I always appreciate to see in any spirits bottles. I first tried Maui Dark Rum at the UK RumFest 2008 at a tasting seminar by Paul Artrip and as I recall it had a plethora of rich aromas and flavours that I immediately wanted to experience again. I even managed to grab a bottle of the stuff for later tasting, cheers Paul! This particular bottle spent a lot of time on the shelf before I decided to crack it open for this review. All Maui Rums, as explained in the previous Maui rum review, begin with the same fermented molasses base distilled into high proof spirit, used in all Haleakala Distillers rum products and aged in Jim Beam barrels for less than a year with the exception of the Maui Gold Reserve rum. Exactly how long each individual rum spends in the barrel is not revealed, nor are any other techniques that might have been used to create a slightly different kind of rum.